Ha. Absent the context, the painted images are just kind of odd. Like, what's the point. 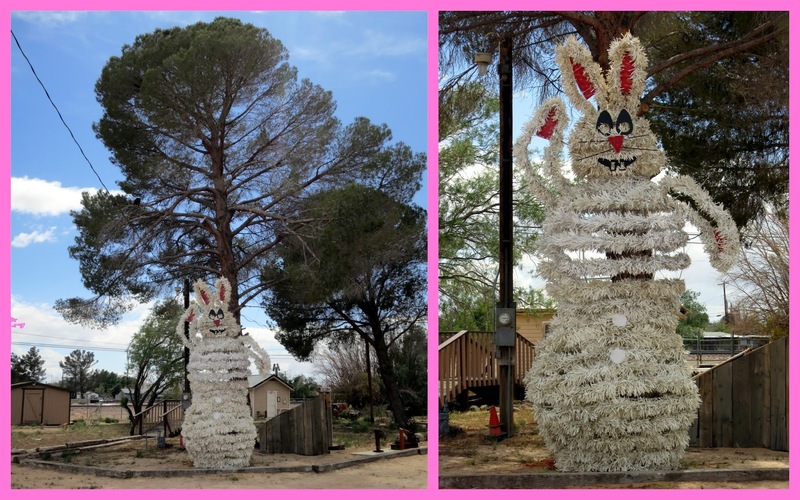 The giant snowman bunny is different. It's huge, and very, very public. Kind of self justifying. Doesn't mean it's "good," of course. But I'm at least amused and willing to be impressed, depending upon the context. 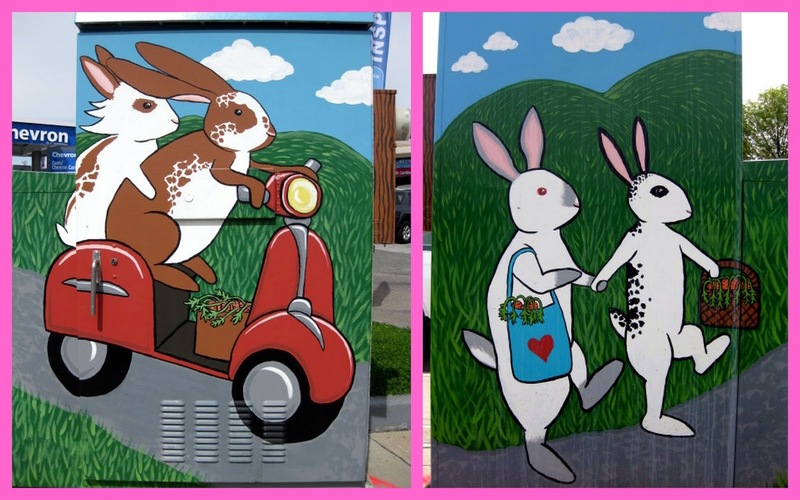 RE: context--the painted bunnies are examples of the "Art Box" or "Art outside the box" projects wherein local artists spruce up utility boxes in Silicon Valley. Actually, I've seen them in various spots around California--not sure if it's a thing in other states. Now, the Boron Bunny..that thing,as the title suggests, gave me the creeps. Reminded me of Frank The Rabbit in the movie Donnie Darko. They have painted utility boxes here in N. Idaho, too. The subject matter tends to be less playful, and more likely to feature critters (stalking jungle cats, soaring eagles, like that) and outdoors scenery. I imagine it's only a matter of time before the bunnies appear.